AUSTIN, Texas, Aug. 5, 2011 (SEND2PRESS NEWSWIRE) — Revenue Cycle Inc. announces that it has forged a strategic collaboration with D3 Oncology Solutions for SABRE financial consulting and support. 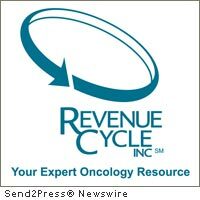 In this newly formed partnership, Revenue Cycle Inc. will research and educate D3 Oncology Solutions clients in proper coding, billing, documentation, and compliance for SABRE, D3’s comprehensive program that helps cancer centers safely and effectively implement a new SRS/SBRT (stereotactic radiosurgery/stereotactic body radiotherapy) program for improved patient outcomes. Based in Austin, Texas and founded in 2002, Revenue Cycle Inc. (http://www.revenuecycleinc.com) is a medical and radiation oncology consulting resource for the oncology industry. It provides specialized, comprehensive services to healthcare providers including auditing, training, billing and coding, electronic medical record compliance, corporate vendor relations, cancer center development, and practice management. Revenue Cycle Inc.’s consultants and its affiliated companies streamline financial record-keeping, cut operational costs, maintain compliance with federal regulations, and improve profitability. Founded in 2002, D3 (http://www.d3onc.com) is an affiliate of UPMC, an integrated global health enterprise headquartered in Pittsburgh and one of the leading health systems in the country. Its mission is to develop and deliver leading edge solutions that accelerate the quality, safety, efficiency, and outcomes of cancer patients’ care at radiation and medical oncology centers. D3 has assisted hundreds of cancer centers worldwide in delivering advanced radiation therapy. For more information about Revenue Cycle Inc., visit http://www.revenuecycleinc.com or call 512.583.2000. 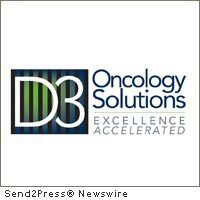 For more information about D3 Oncology Solutions, visit http://www.d3onc.com or call 412.365.0710. News issued by: Revenue Cycle Inc.
News Source: Revenue Cycle Inc.
More from Revenue Cycle Inc.
Revenue Cycle Inc. is a broad-based oncology consulting firm and has recognized leaders in the business of medical and radiation oncology. Revenue Cycle focuses on every aspect of the oncology practice with an emphasis on compliance, documentation, cancer center development and management, operational and staffing assessments, and department policy and procedure review and development.